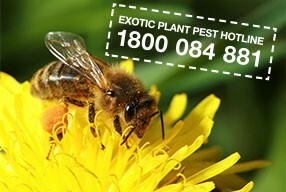 Hiring hives is the most common solution for obtaining managed hives needed for pollination. 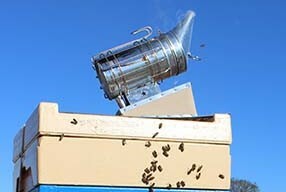 Hives are usually hired directly from beekeepers or from brokers working for beekeepers or growers. This approach has the advantage that the growers can specify exactly what they require. It may take a beekeeper a long amount of time to prepare colonies suitable for pollination, especially if the pollination period is in early spring, or during a period when there is commonly a honey flow. In many cases, the preparation work by beekeepers to get their hives ready for effective pollination can take many months. 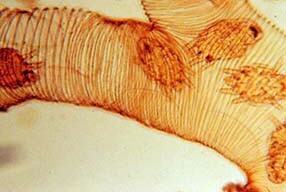 Therefore, is it is critical that growers order hives from beekeepers early enough to ensure adequate supply. When hiring honey bee colonies, many beekeepers and growers find it preferable to use a written pollination agreement that clearly specifies the responsibilities of both parties. 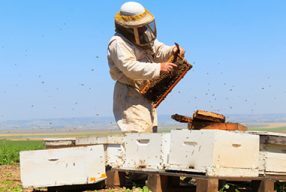 Agreements, or contracts, are useful as there is no confusion over what the grower thinks they are hiring and what the beekeeper thinks they need to supply. They become very important if there are any problems with what is supplied or what happens to the hives once they are in the crop. Written pollination agreements protect all parties and eliminate misunderstandings between beekeepers and growers. 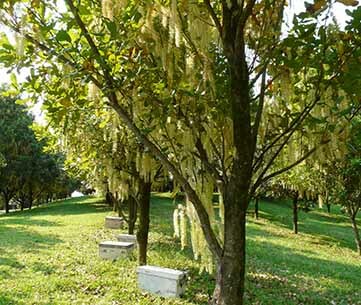 Establishing a pollination contract is also considered best practice. 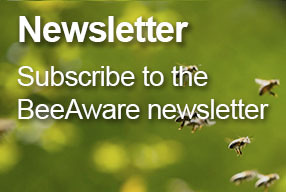 Both beekeepers and growers will benefit from the adoption of best practice pollination services. When establishing a pollination agreement you should always seek legal advice. For additional information, sample pollination agreements, fact sheets about making pollination agreements and what the important factors to consider are, click on the below links. Please be aware that some of the below information was developed overseas and environmental, pest status and seasonal variations may occur. Always seek legal advice when establishing a pollination agreement.